Heading down to Cabo San Lucas? 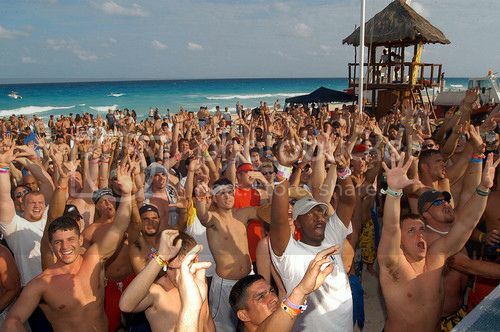 Cabo definitely boasts an amazing party atmosphere and and it’s no doubt, one of the most popular beach destinations in Mexico among college students during spring break. Having said this, Cabo isn’t just popular among the party crowd of spring breakers who arrive there in late march (March 19-31). Many families and other tourist also vacation in Cabo during the spring break and winter months. If you’re looking for a nice beach near Cabo San Lucas that doesn't get huge crowds of party people even during spring break, Playa Santa Maria would be one of them! Playa Santa Maria is located about 20 minutes drive of Cabo and you can definitely enjoy a nice relaxing time down there with family and friends. 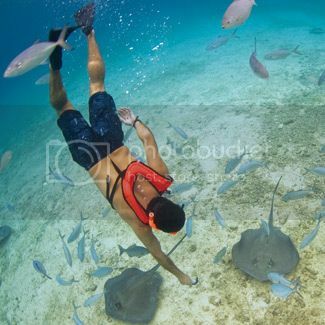 Also, since Playa Santa Maria is located on a cove, the waters are really calm and the reef has lots of marine life, which makes Santa Maria a perfect spot for snorkeling and scuba diving. Medano Beach is one of the most swimmable beaches in Cabo San Lucas and being located very close to the town makes it also one of the most popular beaches in Cabo. 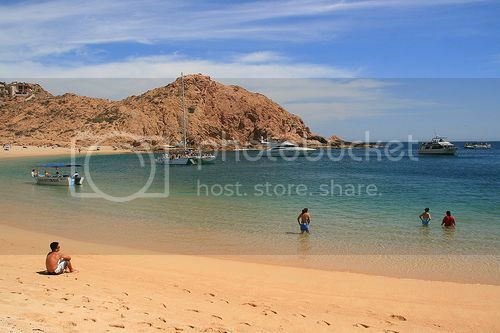 Medano Beach is the busiest beach in Cabo and it's bursting with life over the spring break. 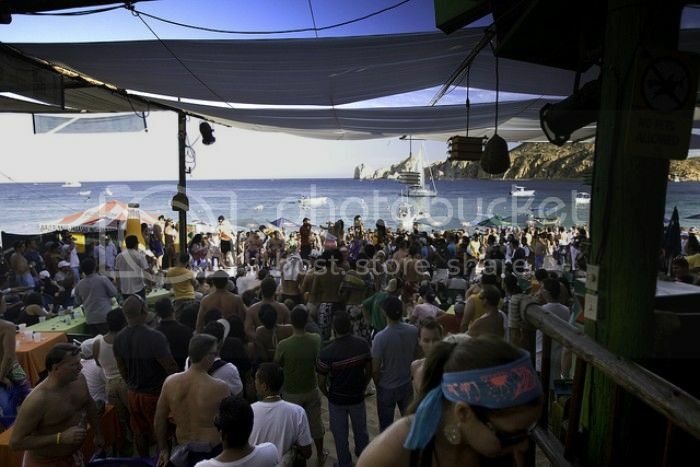 El Medano beach draws a huge crowd of college kids looking for sun, beach bars and lots of fun water sports. Medano beach has rental shops and the party resort of Riu Santa Fe is right by the beach. Riu Santa Fe resort caters mostly for the young crowd. If you're looking for a family friendly resort, Villa del Palmar would be a good bet. Lover’s Beach is another beach in Cabo that is great for swimming and snorkeling, though since it is located a short water taxi ride from El Medano beach it does get busy. However, the crowds in Lover's beach aren’t anything compared to Medano beach. If you’re going to Cabo over the spring break Lover’s Beach is one of the best beaches near Cabo that you can escape to avoid the huge crowds of young people in Medano beach. Another great thing about Lover’s beach is that it also has a beachside facing the Pacific Ocean called Divorce beach, which is great for sunbathing but not swimming (the strong currents are seriously dangerous). Chileno Beach is also located outside of Cabo (near Santa Maria beach) but it’s one of the best swimming beaches in Cabo San Lucas you can go for snorkeling and diving. Chileno beach boasts a stunning reef and the waters a very calm, which makes Chileno a popular choice among families. Chileno is roughly half-hour drive from Cabo San Lucas, though the drive is worth it if you’re looking for a beach near Cabo that doesn’t allow motorized watersports. Chileno also has a dive shop and water rentals. If you’re looking to do some serious surfing in Cabo besides swimming, the nearest surfing beach would be Monuments Beach (Playa Monumento). The only thing about Monuments Beach is that the breaks are really tricky which means you have to be a very experienced surfer to manage them. Besides Monuments, there are other swimmable beaches near Cabo where you can do surfing. 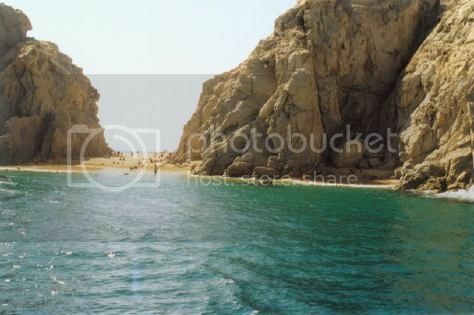 These include Shipwreck Beach (Playa Barco Varado), Blue Coast Beach (Playa Costa Azul), and Playa Cabo Bello, which are located near San Jose del Cabo. Another surfing spot you may want to check out is Playa los Cerritos (near El Pescadero). 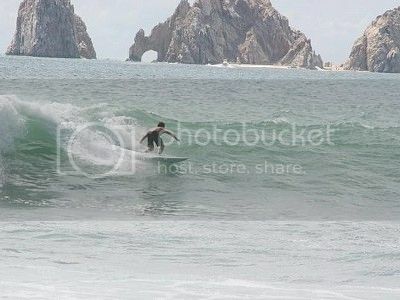 Cerritos is a very good surfing spot, though it’s located about an hour’s drive from Cabo. If you can manage the drive there, you'll be rewarded with some of the best breaks and swells in Baja California. As far as surf schools in Cabo, there is a surf school in Medano beach called “Cabo SUP” who offers stand-up paddling surf lessons and guided surf tours. “Surf In Cabo”, “Costa Azul Surf Shop” and “Mike Doyle Surf School” are three other popular surf schools near Cabo offering surfing classes for beginners.